The Wakefield hotels listed below are either in the town or we have given a rough guide as to how far they are from Wakefield. We hope you enjoy your stay and find your ideal accommodation. Station: WAKEFIELD. 3miles. Leave the M1 at Junction 40 then follow the A638 to Wakefield for 1/4 mile and take 1st right. Station: WAKEFIELD. 2miles. Exit M1 Junction 40 onto A638 to Wakefield, turn left at first lights and the hotel is on your right. Station: WAKEFIELD. 2miles. Exit M1 at Junction 39 and take the A636 (Denby Dale Road) towards Wakefield city centre. Pass two roundabouts straight on. After the traffic lights, pass over the bridge and you will see hotel on your left. Just after the 2nd limited zone at 30 mph turn left onto Monckton Road. Please note guests must check in before 11pm. The Chasley Hotel is located in the heart of the city of Wakefield. The hotel has 64 en-suite bedrooms which boast comfortable, well furnished surroundings at a great price. North of Wakefield and near to the M1, Premier Inn Wakefield City North offers very comfy beds, free parking and an on-site Brewers Fayre restaurant serving great-value pub meals. In the heart of Wakefield city centre, just metres from Wakefield Westgate railway station, the York House Hotel offers free Wi-Fi, stylish, modern en suite accommodation and limited free parking. Surrounded by scenic pastures, this Holiday Inn is located just off junction 40 of the M1 motorway, 5 minutes' drive from Wakefield. It features modern rooms and freshly cooked food. Rooms include private bathrooms with power showers. Saville Guest House is a friendly, family-owned guest house with en suite rooms, modern amenities and free parking, 5 minutes' walk from Wakefield town centre. At the Saville Guest House, staff are always available for your assistance. Retaining the ambiance and character of the original Victorian Vicarage, this splendid hotel is ideally positioned next to Thornes Park, and only 5-minutes from the M1 motorway. The award-winning Best Western Hotel St Pierre is set in the quiet and pretty village of Newmillerdam, Wakefield. It offers free parking and fine dining. The modern bedrooms have private bathrooms and TVs with satellite channels. On entering our hotel you will be surrounded by friendly,courteous and professional people,all waiting to be of service to you. The hotel offers a wealth of facilities, geared especially towards ensuring maximum satisfaction. In a beautiful estate just outside Wakefield, Waterton Park Hotel features a golf course, leisure centre and award-winning restaurant. Just 10 minutes from the M1, the hotel has free Wi-Fi. Off junction 39 of the M1and close to Pugney Country Park, the hotel offers free parking, an on-site Vintage Inn pub/restaurant, and spacious rooms with luxury power showers. 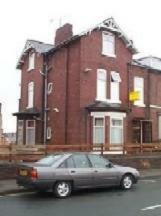 For the past 20 years the Stanley View Guest House, close to Wakefield city centre, has been run by the same family. If you are a racing fan, we are handy for access to Pontefract, Wetherby and York. We are also near many golf courses. Superbly located just off the M1 motorway, this value-for-money 3-star hotel is within a 10-minute drive of Leeds and just 2 miles from Wakefield. In Thornes Park, a 10-minute walk from Wakefield town centre, this quiet and well-equipped Premier Inn comes with an on-site Greene King restaurant and free parking.